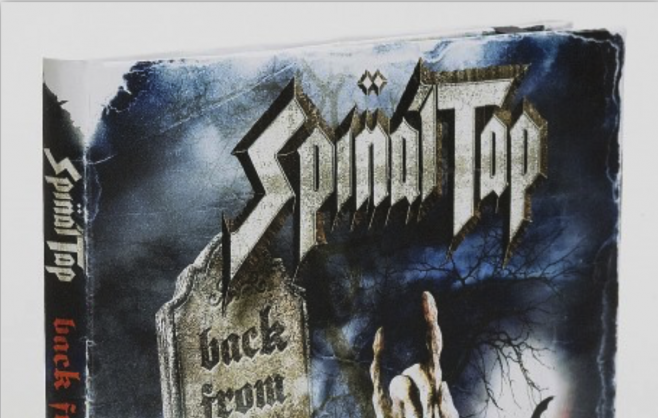 This is not the only remarkable album packaging of Spinal Tap. 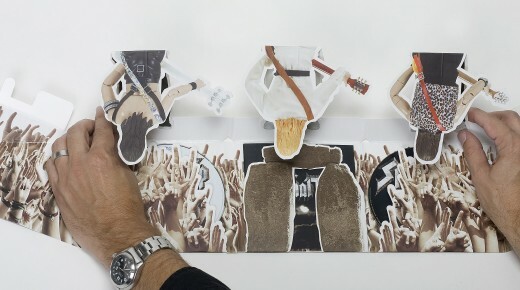 Their packaging for “This is Spinal Tap” is probably one of the coolest album packaging ever created. It reminds me of AC/DC’s music packaging. 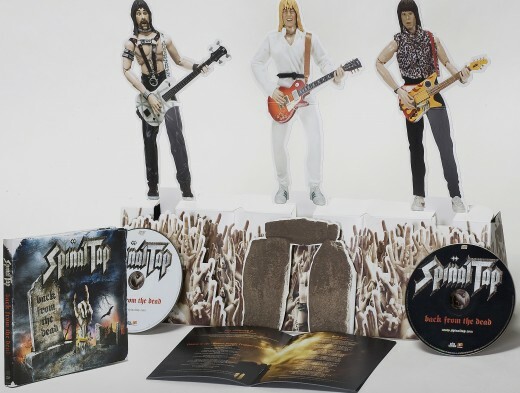 Spinal Tap’s “Limited Marshall Amp Edition” comes packaged in a miniature Marshall Amp described as “going up to 11” which tells me the thing actually works. The outer packaging also resembles an amp, while the interior includes five total discs with the original soundtrack and over five-hours of bonus features. And here are some more designs made by Fusion Creative. 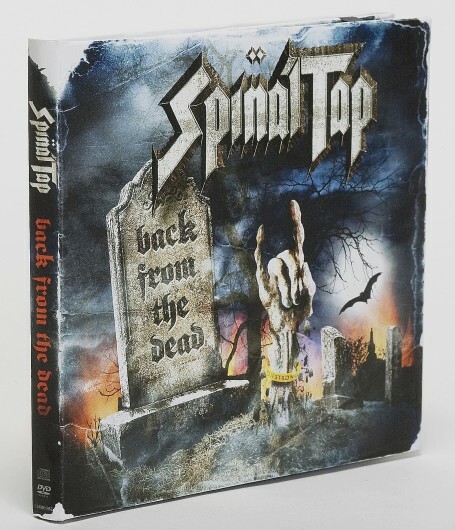 And if you still want more creative Spinal Tap Stuff, here’s a merch that will make any fan (and non-fan) drool. Too bad it’s sold out. This is a set of amazing 12 inch action figures. 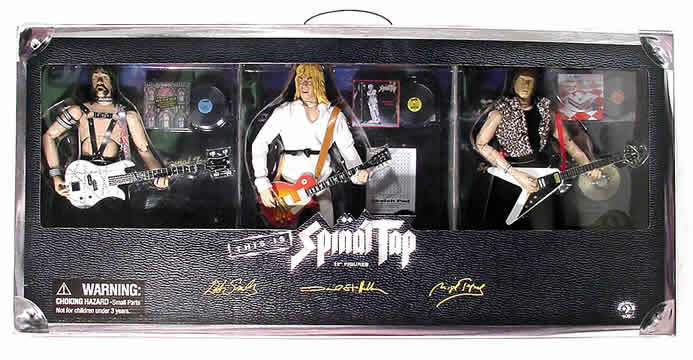 Figures feature over 20 points of articulation, an “autographed” guitar pick base, a miniature LP of a Spinal Tap album, instrument, and other themed accessories from the film. Too bad it’s sold out. Spinal Tap is a Grammy-nominated parody fictional heavy metal band that first appeared on a failed 1979 ABC TV sketch comedy pilot called “The T.V. Show”. The sketch, actually a mock promotional video for the song “Rock and Roll Nightmare”, was written by Reiner and the band. Later the band became the fictional subject of the 1984 rockumentary film This Is Spinal Tap. The band members are portrayed by Michael McKean (as David St. Hubbins), Christopher Guest (as Nigel Tufnel) and Harry Shearer (as Derek Smalls). This Is Spinal Tap was accompanied by a soundtrack album of the same name. In the years since the film was made, the actors who portrayed the band members have played concerts and released music under the Spinal Tap name.